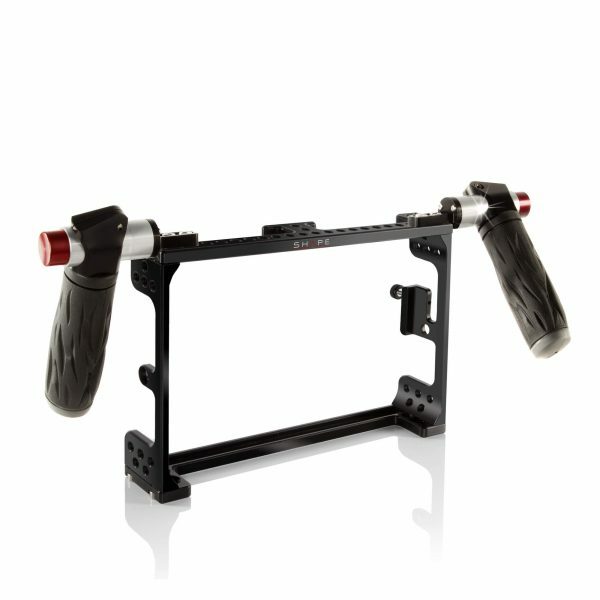 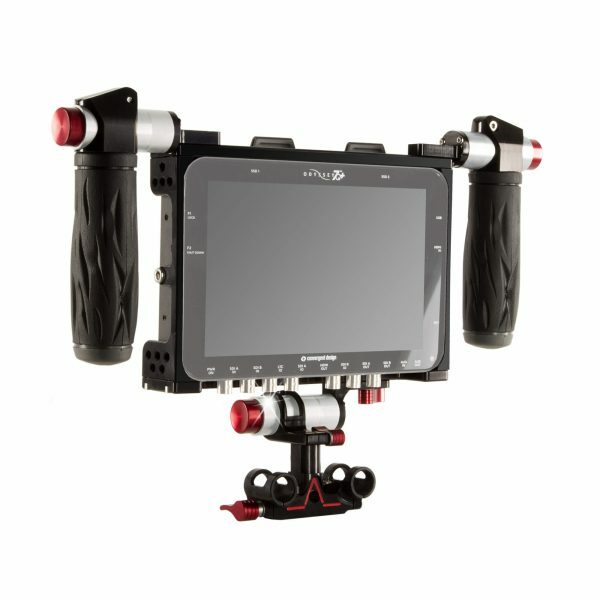 Have your Odyssey 7Q+ ready to roll for your production with this SHAPE Odyssey 7Q+ Cage Kit. 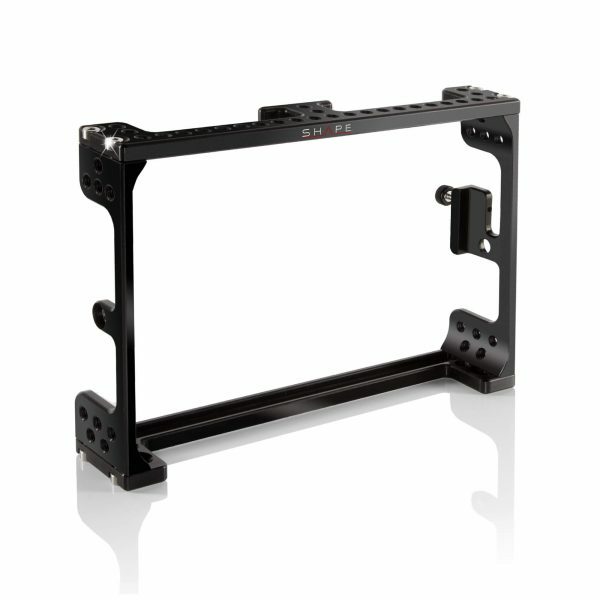 This kit is based around the CNC-machined aluminum 7Q+ Cage, which protects the monitor and adds mounting points for accessories. 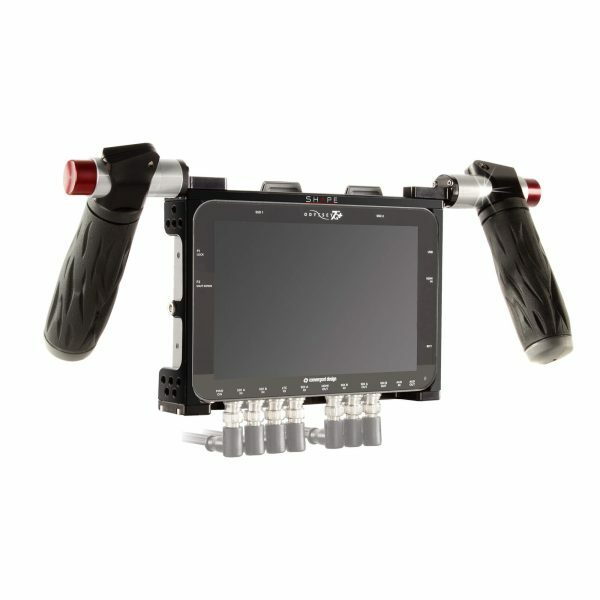 The included side-handles allow the director or client to grab the monitor and hold it with them so they can follow the action. See below for more information on the individual items in this kit. 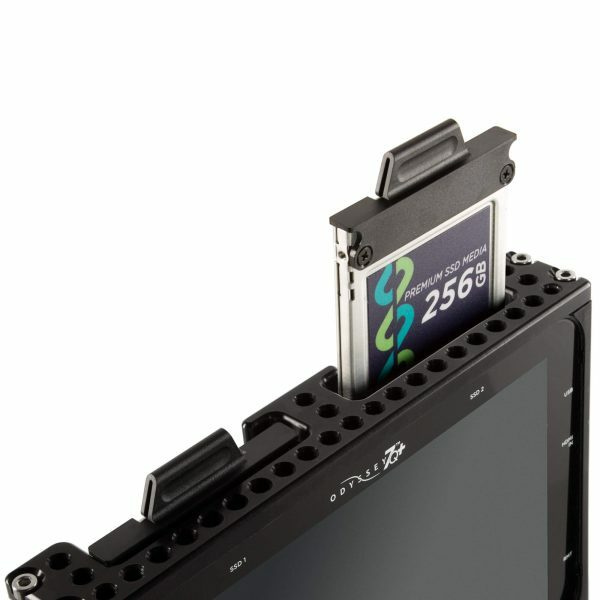 Protect your Convergent Design Odyssey 7Q+ with this Odyssey 7Q+ Cage from SHAPE. 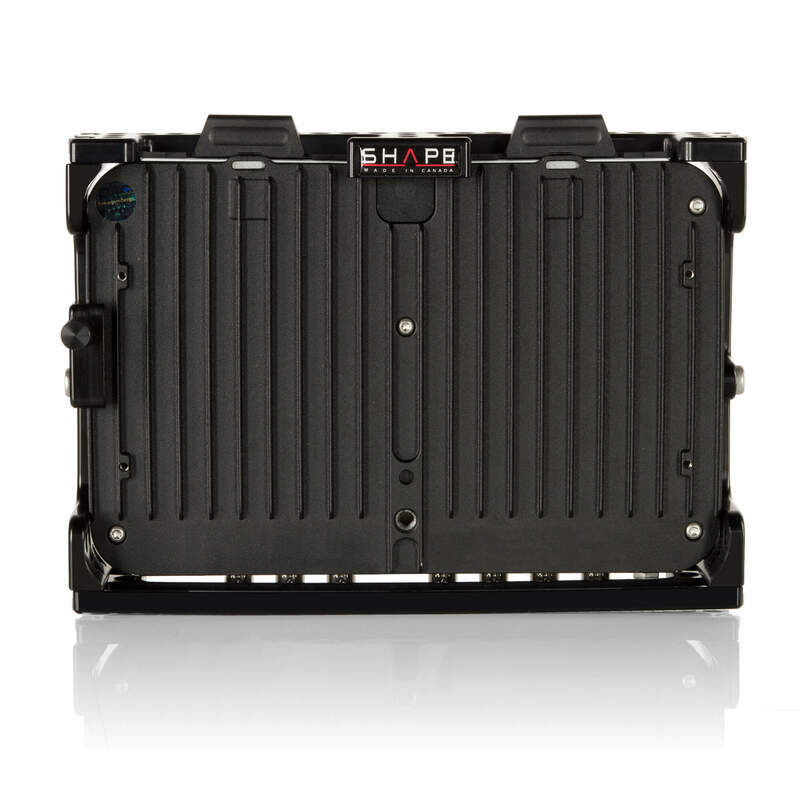 Manufactured from CNC-machined aluminum, this cage surrounds the Odyssey 7Q+, shielding it from bumps and falls. The cage’s design doesn’t add any significant bulk to the monitor, and, while easily removable, it is solid enough to be a permanent fixture. Additional features include numerous 1/4″-20 threaded holes for mounting additional accessories to the cage or for mounting the monitor itself to your rig. 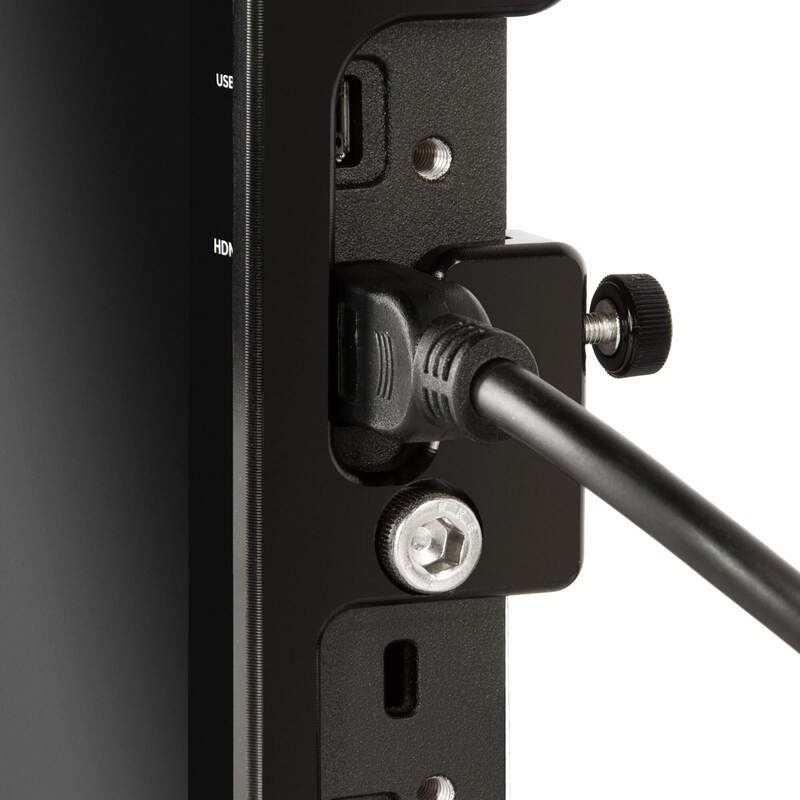 An integrated HDMI cable clamp protects the HDMI output and prevents unwanted cable snags from thwarting your video feed.